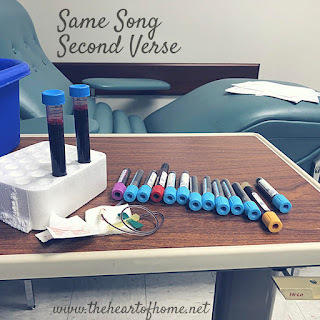 As I drove to yet another hematology appointment earlier this morning, I realized I have to let all of this out. Certainly, I write to encourage my readers to lean on God but I also write for myself too. I probably write for my own benefit far more than I initially intended or believed. It’s cathartic. It’s literally saved me thousands and thousands of dollars in trauma therapy bills and as the story continues to unfold, I want to be able to tell it. I want the depth of emotion, fear and uncertainty to ebb and flow just as it does in my every day. After two and a half years of appointments, it finally dawned on me. As much as I’ve healed physically and emotionally, the aftermath of my near-misses is never going away. I’m not talking about the grief either. I already know that has set up camp and is here to stay. I don’t know why it took me this long to fully realize the long term physical impact but when my hematologist said “You need to let us know in advance about any procedure you have in the future.”, I could actually see it reverberating 20, 30, even 40 years from now. Every procedure. Every battle with a yet-to-be-named enemy. Maybe that doesn’t seem significant on the surface but with a family history chock full of heart disease and various cancers, procedures like a catheterization or angioplasty suddenly become even scarier. 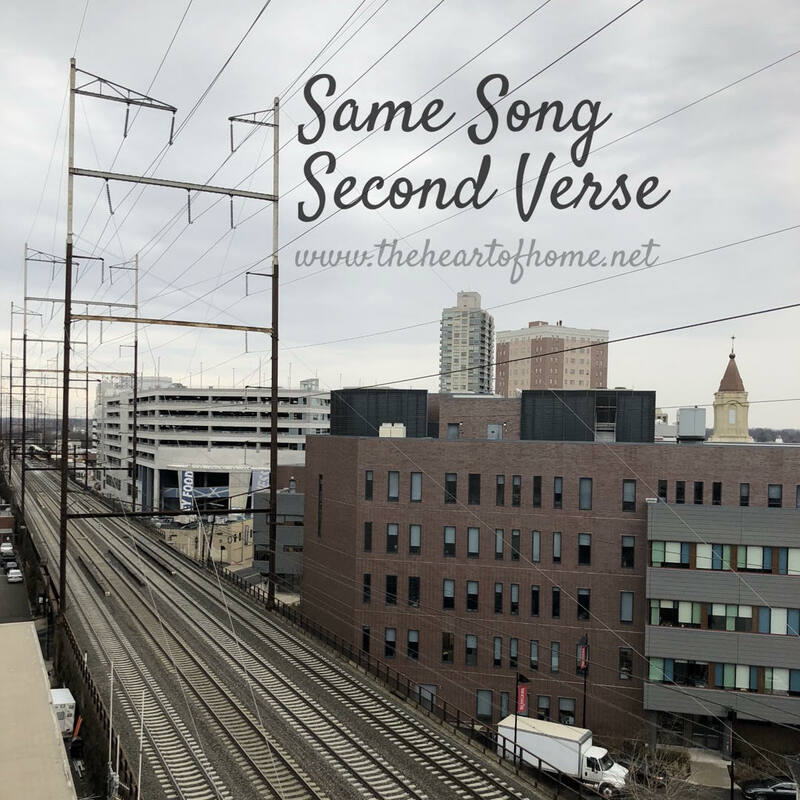 All of this time, I have been wrongly compartmentalizing. I didn’t just have an obstetric emergency. Even if you removed all of my non-essential organs, the problem persists. Pregnancy may have brought the issue to light but it didn’t end when I delivered my son. And it didn’t end when the doctors cut me open, patched me back together and sent me on my way. 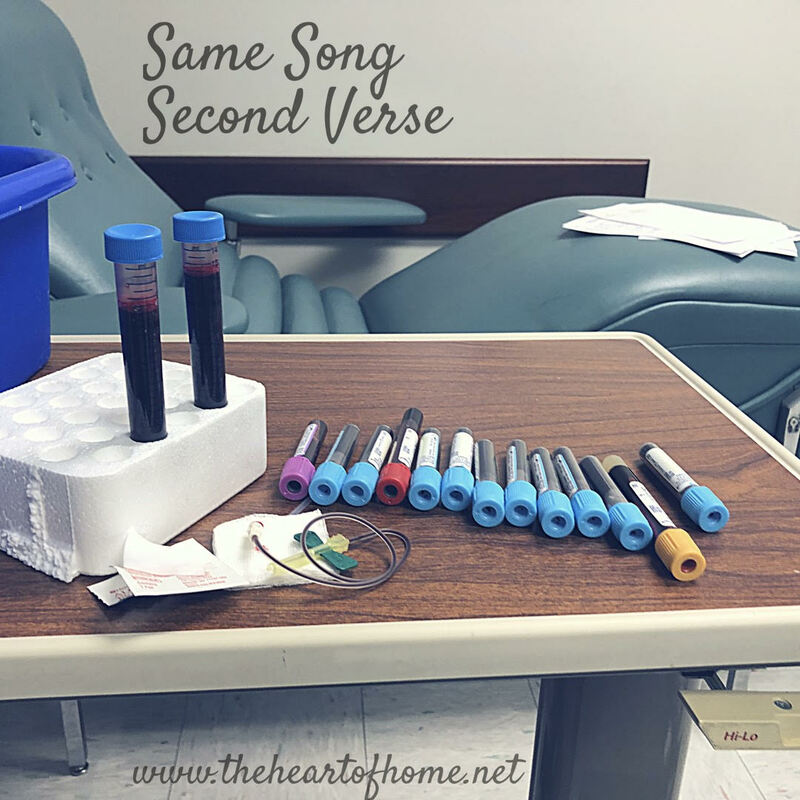 A few weeks ago, I was reminded that “For the life of the flesh is in the blood” (Leviticus 17:11) by one of our blood drive supporters. I have a problem with the very thing that sustains life. How can that not affect everything? Truth be told, the appointments are getting old. I am tired of trekking in and out of Specialist's offices with little more than a reminder card for my next appointment. While I’m thankful that no stone will remain unturned as my hematologist investigates the potential underlying cause(s) of pulmonary embolism, postpartum hemorrhage and disseminated intracoagulation (DIC), the lack of answers is frustrating. I know someday the doctor visits will diminish and I may get a temporary reprieve until the next health issue strikes- which is hopefully many decades from now- but either way, it seems ridiculous to me that I am destined to rehash my near-miss history even when I’m 60 or 70 years old. The complications will stalk me to some degree long after my little one has grown. They will always be lurking in the shadows preparing to swallow me whole again should the opportunity arise. So much was taken away during those five months that we struggled to survive that it is disheartening to come to terms that the effects will still be felt decades from now. Gone are the dreams of a larger family. Gone are the early moments of motherhood that I will never get back. Gone is the possibility of closing this tragic chapter for good and moving forward without any lingering effects. Maybe I should have seen this coming but I didn't. As I gathered my things and headed to the elevator in the medical school academic building, I paused in the vestibule and noticed the railroad tracks again, this time from a different vantage point. It’s true my medical gauntlet doesn’t fit neatly in a box. It certainly hasn’t been sealed up tightly and tied with a bow, content to stay confined within one frightening chapter of my life. No, it’s determined to thread its way through them all now. The elevator dinged and I walked away from the sun soaked windows overlooking the tressel. Another train thundered past and a moment later I found myself in the long corridor once again. Click, click, click. My boots echoed on the tile floors. It’s funny how this hallway brings back so many strong emotions and memories with it. I don’t remember how many times I’ve been down it but I walk much faster now. I let those words sink in. I walk much faster now.